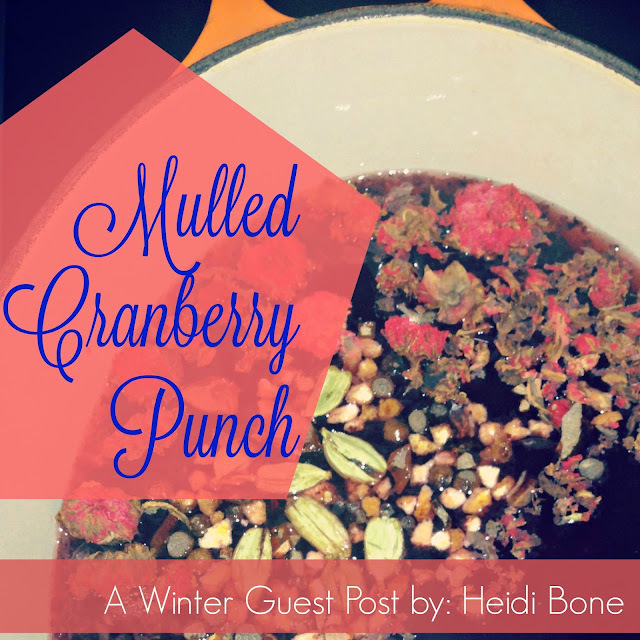 Recipe for Mulled Cranberry Punch. 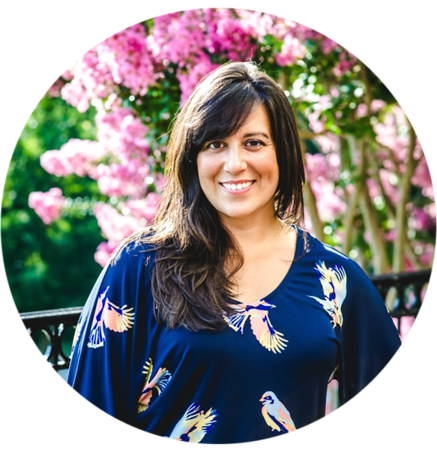 A guest post by Heidi Bone, kitchen maven extraordinaire, seasonally inspired Pinner, and mini blogger at Deliberate Cookery. The boys and I love this recipe. They prefer theirs cut with apple cider, and I have enjoyed savoring small cups of this addictively tart non-alcoholic drink in the evenings while I wait for the kids to fall asleep. Don't worry, you can add a little something to yours if you're feeling more festive. :) Thank you Heidi, for sharing your inventive culinary spirit with us! Winter is the perfect time to play with a recipe like this fantastic mulled cranberry punch because HEAT is necessary for the infusion of spices in juice. This warm and spicy punch is married with honey to create a sweet and tart drink that makes a lovely companion for dark mornings and afternoons, when aromatic steam rising from a simmering pot in a chilly kitchen is incredibly comforting. The fun in this recipe is it’s versatility. Experiment with the flavors and make it your own! I look forward to stockpiling a variety of juices this winter and simmering small batches with spices, herbs, and teas just for fun, and for warmth of body and soul. I hope this recipe inspires you to find your new favorite drink this season. Cranberries are über tart. If you take a perusal down any juice section of your local market most cranberry juices are sold in cocktails and blended with grape or apple to cut through the tang and highlight the sweet notes, so it can be a challenge to start with only pure organic unsweetened cranberry juice. I used R.W. Knudsen’s organic "Just" cranberry sold in a 32 oz. glass jar. Once combined you will have a big pot of spicy acidic tang! Bring to a boil without a lid and then lower to medium-low heat and simmer 20 minutes or more, taste-testing the infusion to your liking. To sweeten the mix naturally and nutritiously I would use the Really Raw Honey brand or, if you can afford it, Manuka honey. Of course, local honey is fine too. Start with half a cup of honey and add more to taste. Once it tastes the way you like, strain and funnel into your favorite serving pot or, like I did, back into the glass jug the cranberry juice came in for refrigeration. I recommend a 6oz serving at a time, warmed stovetop. Steep loose or bagged rooibos in this mix for extra depth, 1tsp for 1 serving or or 1 bag for the pot. I buy a bulk mulling spice mix at the farmers market but you can make your own with any combination of what you have on hand at home: fresh or dried orange peel, cinnamon bark, allspice, cloves, and anise seed. Check the bulk section of your organic market to assemble your spice mix less expensively than buying whole individual containers of each spice. This post was originally featured in the BoldHeartMama Newsletter. If you like posts like this one and would like to sign up for seasonal updates and inspiration sign up here. When I tried it, it was DELICIOUS!! Loved it! Yes! So glad you enjoyed it. I want to make another batch, I'm down to the last little cup or two now.